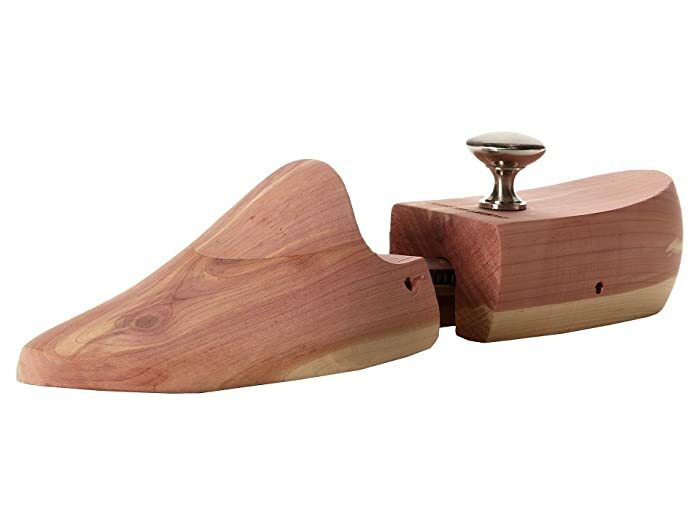 Extend the life of your favorite shoes with Johnston & Murphy™ shoe trees. Made of aromatic cedar, which absorbs moisture and preserves shape. Protects the leather, fabric, stitching and soles from moisture damage. Smooth's out linings and insoles, making shoes more comfortable to wear. Smooth's out creases and wrinkles that prematurely age leather. Comes with two solid wood shoe trees.